Compare the Top Practice Management Software. Self-explanatory. By its very nature, medical office software should maintain electronic health records for every patient. Captures demographic information. When it is clinically relevant, the demographics can be tracked over time. Creates lists of problems specific to each patient. Creates a list to store medications each patient takes. This stores all medical, family and social history, including any externally available clinical history and and patient reported history. This includes the health records you find in an electronic health records (EHR) software as well as the medical records present in an electronic medical records (EMR) software (yes, there’s a difference between the two systems). This allows you to addend, authenticate and transcribe documentation for clinical notes. Allows you to include any clinical documentation from previous physicians and other external sources. Provides the tools needed to put together a patient-specific care plan and other protocols to keep in mind during treatment. Self-explanatory. This can be used for pre- and post-procedural needs as well as post-discharge instructions. This allows you to track orders based on the input from other providers. Send away orders for diagnostic tests as needed. Provides sets based on system prompt or user input. Present latest and all test results to personnel to review, filter and compare. Maintain all patient decisions via authorizations as needed. Allows you to go through prompts to support care plans and protocol when capturing information. Allows the use of appropriate protocols and guidelines for managing certain kinds of conditions. Issues warnings for drug interactions when ordering medications. Issues warnings and identifies patient-specific appropriate dosing based on conditions when ordering medications. Providers are alerted in real time to support specimen collection. When making clinical decisions, identifies individualized reminders, screening exams and other services for routine preventive care standards. It can also notify the patient when certain tests are overdue as well as monitor when the patient has taken action as a result. Supports the communication between the medical practice and an insurance provider for payment authorization of insurance claims. Supports medical coding and billing services, including the submission of bills to patients and insurance providers. Medical billing software features should also manage receiving authorization for billing payments as well as general medical coding. This feature may include most of the components offered in a standalone web-based medical billing software. Supports the delegation of tasks to the necessary parties. Supports linking tasks to patients or other parts of the EHR. It can also track tasks to ensure the party has completed it within an appropriate amount of time.  Allows a secured electronic connection between all providers to respond to actions in care, such as referral, as well as to document offline communication and generate messages as needed. Supports secure bidirectional electronic communication between pharmacies and physicians. Allows response to communication between patients/family and providers. This can also allow the delivery of support and educational resources for patients and families for certain medical conditions or other diagnoses. Quality medical software authenticates users before allowing access. Manages access control permission sets to EHR users. It enables security to grant authorizations within certain contexts as needed, maintaining HIPAA compliance at all times. Ensures the full security of any EHR data transfer or exchange. Enforces privacy rules according to the appropriate jurisdiction. Ensures the availability of data and can destroy health record information according to the standards of the organization. This includes retaining EHR data and documents as legally required, retaining documents unaltered, ensuring availability for the legal period of time, and destroying EHR data systematically according to policy after the retention period. Supports workflow functions such as setting up work queues, system interfaces and personnel, among others. Displays current practitioners, their demographic information, as well as information to determine how much access they have for the EHR software security system. Allows interactions with other modules to maintain updated information according to recordkeeping standards. Stores the residence of the patient for administration of services, transporting the patient, and as is required for public health reporting. Provides information in a way to de-identify them as required locally. Allows interactions with other modules to generate an optimal scheduling system by planning out patient care. Generates reports according to ad hoc report standards. Lets users define records for disclosure. Offers specialized views based on clinical protocols, business rules, as well as situation-specific values. Provides a way for relevant patient data to be available for coding procedures, diagnoses, as well as outcomes. Supports the assistance of administrative and financial coding based on unstructured text as well as structured data within the documentation. 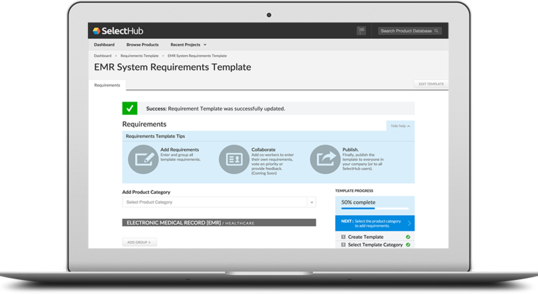 Allows interactions with other modules to allow the practitioner to create requests, appeals and responses as needed for service authorization, including prior referrals, previous authorizations as well as pre-certifications. Supports interaction with other modules to create treatment care attachments for submitting other information in support of other requests. Allows interaction with another module to support the creation of encounter reports and claims for cases of reimbursement. Tracks how many providers have treated a single patient. As you can see, medical office software offers a ton of functionality to healthcare organizations and the office managers who help everything run. From saving time by automating tasks to managing patient relationships better, medical practices can find a whole host of benefits after adopting medical software.